The staff at Richmond Fine Dentistry are here to help you feel welcome and at ease with all your dental needs. We strive to make you feel confident with your smile. You’ll notice that all our staff are full of energy and enthusiasm when it comes to all things dental. 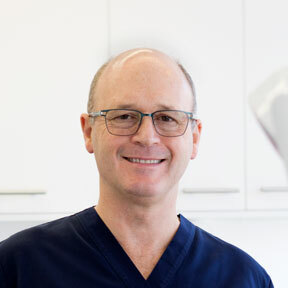 Dr Robert Harper has many years of experience and has been constantly educating himself with the latest techniques, products and new ways of doing dentistry. He has a passion for his job and thoroughly enjoys the interaction with his patients, as well as the technical aspect of being a dentist. Dr Harper graduated from Melbourne University in 1976 and after working in the suburbs of Melbourne, moved to Portland, in Western Victoria where he not only gained a vast knowledge in all aspects of dentistry, but also the ability to engage with people and understand their dental needs. Dr Harper gained much experience in Portland but decided to further enhance his career in Melbourne and undertook a course in ‘Crown and Bridge’ at Melbourne University, as well as setting up a practice in Swanston Street in Melbourne’s CBD. Dr Harper’s passion is to have the latest technology and a well-designed, hygienic and joyful environment to work in and be supported by talented and caring staff. A move to Bridge Road, Richmond has encompassed his idea of a great practice – a state of the art surgery designed with excellent dentistry in mind and comfort for the staff and patients. A beautiful environment certainly makes for a happy place. 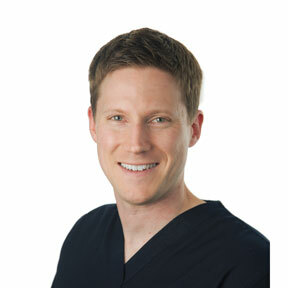 A highly dedicated dentist and regular participant in continuing professional development, including the Seattle Study Club, Dr Harper appreciates the fact that his profession has allowed him to work in an Aboriginal Community and he continues to provide dentistry to the less privileged through various ventures. We continue to be amazed at his level of enthusiasm for all things dentistry and we know he is very proud of the practice he has created at Richmond. Dr Harper loves nothing more than spending time with his family, cooking for everybody and getting into the great outdoors as much as possible. Oh and did we forget to mention – he likes photography! Dr Matthew Burke is an Adelaide University graduate living in Melbourne since 2008 after graduation, to continue his career. Matthew’s focus fits perfectly with the Richmond Fine Dentistry philosophy of minimally invasive dentistry, with the least amount t of pain. His gentle nature and approach, always makes the patient feel calm and enjoy their dental care and know they are in safe hands. His dedication to comprehensive dentistry ensures his patient experience the best of both functional and aesthetic (good looking) dentistry. With experience across all facets of general practice, Matthew has a specific interest in endodontics and also aesthetic orthodontics such as Invisalign and Smilefast treatment options. However, he admits that the most rewarding aspect of his role is “building long term patient relationships and being able to offer comprehensive treatment tailored to each individual’s needs.” Building these long term relationships with his patients is what Matthew finds one of the most rewarding aspects of his profession. As with all of our team members, Matthew has a keen interest in continuing professional development and education. He attends numerous conferences and study group meetings to ensure he continues to offer the most current and advanced treatment options for his patients. Outside of dentistry, Matthew loves travelling both near and far, a passion he shares with his wife. When at home he loves spending time with their dog, cycling and is also a keen golfer. Most of all, he adores his time with his little girl, who is almost 3. After graduating from University of Western Australia, Ben moved back to Melbourne and has worked in Richmond for many years. Ben is a friendly, personable and very considerate dentist who cares about providing excellent quality care – which is what Richmond Fine Dentistry is all about – so he is perfectly aligned with our philosophy. Ben’s major areas of expertise are preventive, restorative and cosmetic dentistry, along with an interest in dental sleep medicine. Ben is really enjoying working at RFD with all the latest equipment and technology, as well as the great support team to enable him to do his best work. When Ben isn’t working, he’s sure to be out and about playing golf, on his bike or bush walking. Dr Robert Cox graduated from the University of Adelaide in 2005 with a Bachelor of Dental Surgery and initially served as a dentist in the Royal Australian Air Force for five years, gaining experience in all aspects of general dentistry. He then moved into private practice in Gippsland Victoria and also provided dental services at the Gippsland Base Hospital. Since 2012 he has been working in private practice in Melbourne and has been a member of the Australian Dental Association since 2001. 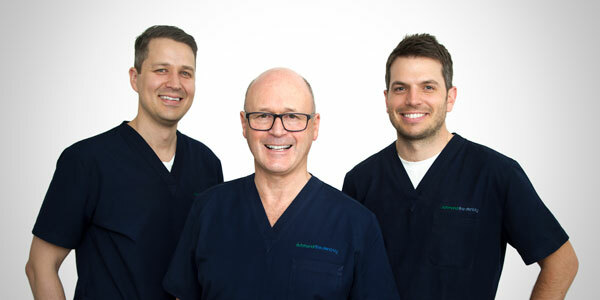 Dr Cox has an interest in preventive and minimally invasive dentistry, focusing on high quality restorative and cosmetic treatment outcomes to meet each individual’s specific needs. He has a caring and friendly approach and works with patients to provide the information required so that they can make informed decisions about their dental care. Dr Cox also believes in good communication throughout procedures so that patients know what to expect at each stage of their treatment. Dr Cox regularly attends continuing professional development courses to ensure he maintains up to date with the latest dental material and technique advancements in order to provide the highest quality treatment to patients. In 2016, he completed a Master of Business Administration which enabled a deeper understanding of factors impacting the provision of everyday dental care to support his passion of providing high quality dental services with an exceptional patient experience. Away from the dental chair Robert enjoys cycling, skiing, playing the guitar and gardening. He also loves catching up with family and friends and spending quality time with his wife and young daughter. Jennifer began her career in 2001 as a Dental Assistant and her passion grew so much she completed Certificate 3 and 4 in Dental Assisting. Furthering her education Jennifer attended the University of Newcastle to study Bachelor of Oral Health in 2012. Jennifer has joined Richmond Fine Dentistry after many years’ experience in another private practice and is a wonderful addition to the team because of her knowledge, experience and fabulous patient care. Jennifer makes all her patients feel special and tailors their treatment outcomes for optimal dental health all whilst providing the highest quality of care. Jennifer completed further studies in ZOOM Whitening too. 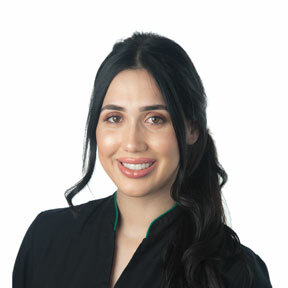 She prides herself on her gentle treatment, educating patients on good oral hygiene and her ability to build great rapport with her dedicated patients. In her leisure time Jennifer is busy exploring wine regions, bike riding and visiting her family in Sydney. Sed is a University Adelaide graduate. 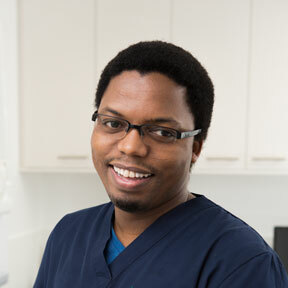 We love having Sed at RFD, he is a gentle and extremely kind practitioner with a very sound knowledge of dentistry and works closely with Dr Harper. The children who visit our practice love Sed too. Originally from South Africa, he moved to Australia and worked in Cairns gaining many skills before moving south to Melbourne. We’ve loved having Sed with us for the past 7 years. Sed knows his patient dental health very well and has helped many patients over time improve their oral health. Optimal outcomes are achieved when such relationships are built and patients can share their social history as well as their medical history- which all impact on dental health. Sed is loving Melbourne and the golf courses. Whilst not working he is busy doing further study and spending time with his wife and little boy, who is now growing into a little man. Marize Jones (MJ) graduated from Auckland University of Technology (AUT) in New Zealand with a Bachelor of Health Science in Oral Health (2010). MJ is a progressive Oral Health Therapist with extensive experience in clinical oral health and clinical dental practice management. In addition to practicing oral health, he also enjoyed an academic career as clinical educator in Oral Health at Auckland (NZ) and Melbourne Universities. MJ is currently working on an academic research project to address gender inequality within the dental practice, which reinforces his passion to professionally evolve and achieve excellence in improving patient care. MJ believes in a holistic oral health approach with attention to detail and collaborative care plans for patients of all ages. Over the course of his career, he founded an innovative oral care concept in children’s oral health to ensure early intervention and ultimately allow children to experience a friendly, less invasive dental future. MJ is not all work however and enjoys mountain bike rides over the weekends and is also a self-confessed movie geek. Nina joined our team in 2014 and came to us with with over 10 year’s experience and dental knowledge. 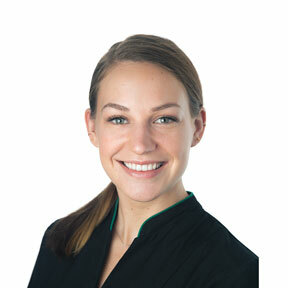 Originally from Chicago, USA, Nina is a certified Dental Assistant and now loves the front office role. Nina beautifully manages the front office and has done since she started. This is a busy role requiring constant organisation of the extensive appointment scheduling. When well managed, the front office works seamlessly and accommodates the provider’s and patient’s needs, allowing everyone in the practice the time to do their best and not compromise patient care. Never flustered and always organised, Nina is a treasured member of the team. We especially adore her cupcakes that are amazing and keep her busy when not at RFD. She’s the face that will greet you with a big warm smile and an accent to match! Nina loves music, dancing, being a mother to two girls and baking the world a better place! Lidia is our excellent Treatment Coordinator. 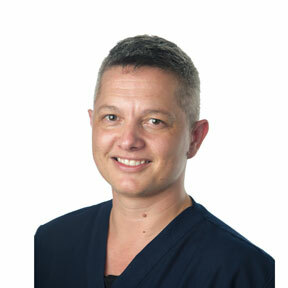 Having worked alongside Dr Harper since 2007, makes Lidia an ideal treatment coordinator! Treatment coordinating requires a vast knowledge of dentistry, treatment planning for optimal care. Coordinating appointments within RFD, sequencing with specialists and assisting patients to manage payment plans or any other myriad of questions they may have about the dental care they will be receiving. Treatment coordinating is an essential element at RFD, especially with multifaceted treatment plans we have on offer at RFD such as complete smile makeovers or orthodontic treatments like Invisalign and Smilefast. Lidia will assist and guide you through every aspect of your care at RFD and is available via email or phone to assist you after your dental appointment. Her lovely nature is such, that you will feel well cared for and supported in the decisions you need to make about your care. Outside of work Lidia likes to socialise with friends and tries to travel around, this year she is off to Holland! Having a Bachelor of Health Information Management, Judy has a passion for accurate information and secure storage of patient information – so her skills are much appreciated at our fully digital practice. Judy has been in the dentistry field for 28 years. Initially as a Dental Nurse, then Practice Manager, as well as being married to a dentist for nearly as long, she lives and loves dentistry. Always happy to help with all aspects of the dental practice and overseeing the smooth running of the practice…there is always something to do in a busy practice. The requirements of running a practice are forever changing, as is dentistry – there is always something new whether it’s dental materials, equipment, software upgrades, legislative requirements or marketing concepts. Judy takes pride in maintaining a high standard of care at all levels within our practice and loves catching up with the patients she has known for many years. When not at work or looking after her son and daughter, she loves to play tennis, devour house magazines and plan weekends away with her family. Louise has been with us since 2015 and in that time has developed an in-depth knowledge of dentistry and is able to fulfil all the roles in our dental practice with ease. 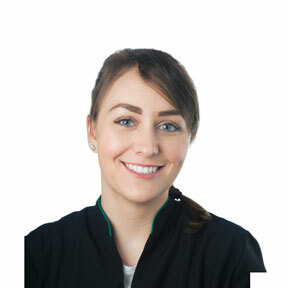 Louise has completed her Certificate 4 in Dental Assisting (with Radiology) and is now our adept Clinical Coordinator. Assisting the Dentists, Oral Health Therapists and Dental Assistants on a daily basis with a very high level of support, training and coordination. It’s a role that requires organisation, forethought and people management which Louise does so well. Originally from Mildura, Louise loves living in Melbourne but also enjoys going back to the country as often as possible. 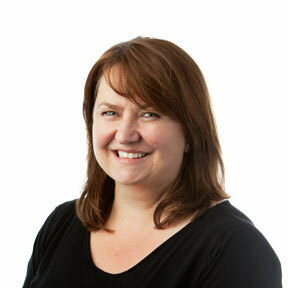 Outside of work, Louise loves travelling, exercising, spending time with family and her German Shepherd named Bear. 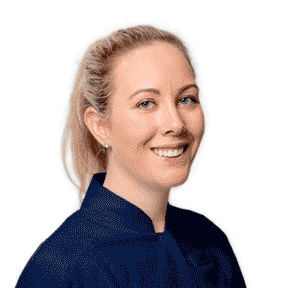 Jessa has moved to Melbourne from Wellington NZ and joined RFD in 2016 as a Dental Assistant. Jessa very quickly showed her skills in time management and clinical efficiency working with Dr Harper and became the Clinical Director, organising the entire clinical team and managing the area with ordering, rosters, daily staffing requirements, maintenance of equipment – all whilst undertaking Certificate 4. Now in 2018, Jessa is our HR Coordinator – managing our staffing rosters, HR requirements and introducing and training new staff members. Jessa suits the role perfectly as she is a very caring and understanding person and a great trainer. You will also see Jessa at Front desk where she can fully engage with patients and take time to tailor their care at RFD. Jessa is extremely patient and knowledgeable about every aspect of the practice and will always warmly greet you with her beautiful smile. Jessa keeps fit, loves Melbourne and travel.